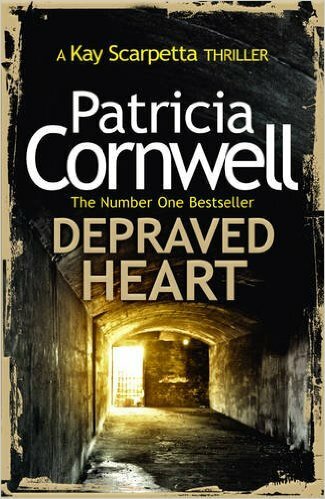 Depraved Heart is Patricia Cornwell’s twenty-third book that features the medical examiner Dr Kay Scarpetta. I must admit although I am a huge fan of Patricia Cornwell it has been a while since I have had the chance to read one of her superb thrillers. Firstly I had one slight problem with Depraved Heart, it is a follow up to Flesh and Blood which was first released in November 2014. I had not read this so I was at a slight disadvantage as the story opened with Dr Scarpetta still recovering after being shot by a spear while underwater. The one thing about Cornwell’s thrillers is that the timeframe is all very compact for some crime writers that may not work but Cornwell seems to have mastered the art of writing a fast paced enthralling thriller that happens within a short timeframe in Depraved Heart this is no exception. Scarpetta is working on a case involving the death of Chanel Gilbert, Chanel is the daughter of a famous Hollywood producer Amanda Gilbert. What would seem like an accident involving Chanel falling from while changing a light bulb at her mother’s house. Dr Scarpetta thinks otherwise and suspects sinister motives and that this was no accident. Depraved Heart is not just a crime thriller it is a psychological thriller as you progress through the story it becomes clear that Scarpetta starts to lose trust with many around her. When you are trying to solve a mystery and you suspect people around you it becomes a completely different scenario and it is fascinating to see how she interacts with others while solving the crime. One character in Depraved Heart that I was not sure about was Scarpetta’s niece Lucy, this part of the story is interesting as some will find her difficult and others will find it an interesting plot twister along with another leading character Carrie Grethen who is let’s be honest here no fan of Dr Scarpetta and this alone just adds to the impending tension that gathers apace through the book, the one thing that is guaranteed with Cornwell’s books is the ending, this one is no exception and it left me wanting more. It has been truly fascinating to catch up with Dr Kay Scarpetta after so long and seeing how she has developed makes me want to go back and read all the ones I have missed over the years. Loyal fans will love Depraved Heart and I look forward to the next chapter in the Kay Scarpetta thrillers. 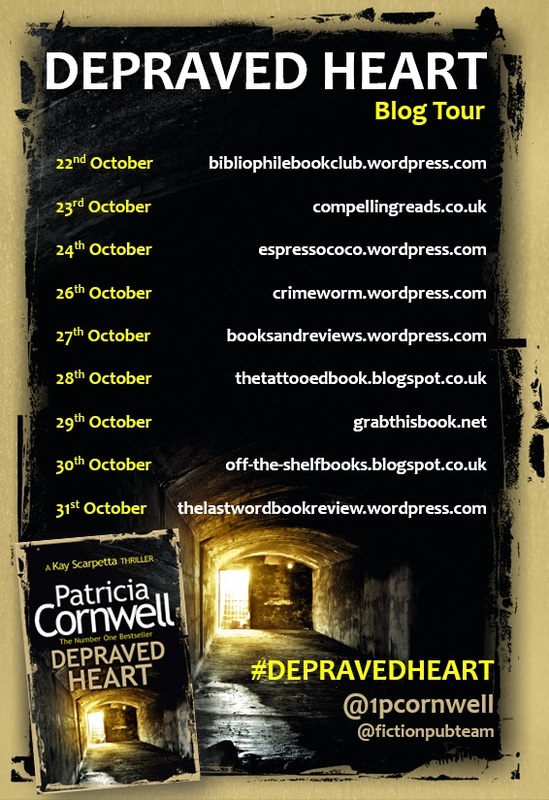 Thank you to Hayley Camis and Harper Collins for a review copy of Depraved Heart and for the opportunity to be part of the official blog tour. Sadly today is the last day my thanks to everyone who has taken part on the blog tour and for Hayley Camis who has worked so hard in arranging all the finer detail. 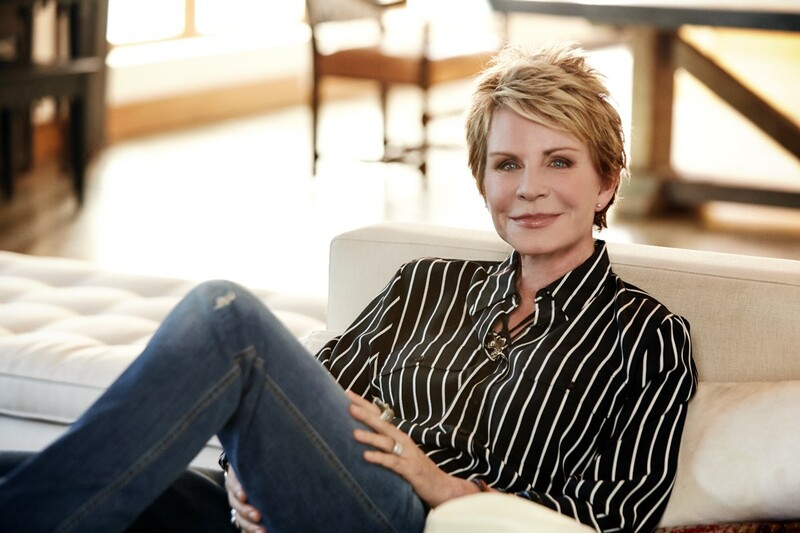 There is an opportunity to meet Patricia Cornwell at to forthcoming events to coincide with the release of Depraved Heart. Meet the No1 best-selling author who has sold over 100 million books in the series. Patricia Cornwell is the 2008 winner of the Galaxy British Book Awards’ Books Direct Crime Thriller of the Year – the first American ever to win this prestigious award. Postmortem was the only novel to win five major crime awards in a single year and Cruel and Unusual won the coveted Gold Dagger Award in 1993.